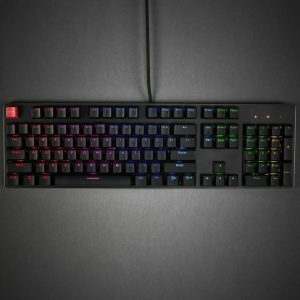 They are offering the community 20% off their Modular Keyboard using promo code “I-AM-GLORIOUS”. Trying out different switches, replacing old ones, and matching several types of mechanical keyboard switches used to be difficult and required adequate technical skills in order to be done. The GMMK is the world’s first mechanical keyboard featuring hot-swappable switches for Cherry, Gateron, and Kailh branded switches. Ever wonder what Gateron Blue’s felt like? 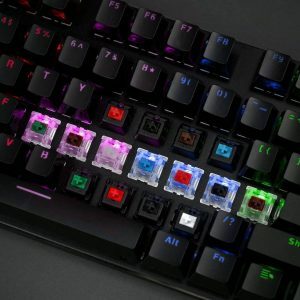 Or what is the craze behind the Cherry MX clears? 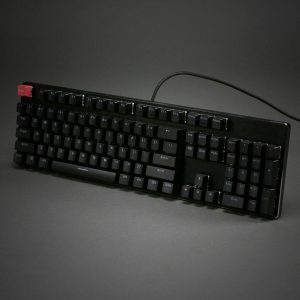 Want to use Gateron Reds for your WASD, but Gateron Blacks for all your other keys? With the GMMK, you no longer have to purchase an entire new keyboard, or disassemble and solder your switches – you can simply pop out the switch just like a keycap, and mix/match to test out and use any combination of switches you desire. Armed with a glorious sandblasted aluminum face plate, full NRKO, LED back lighting (several modes), modular switches, double shot injection keycaps, and minimalistic design – The GMMK is revolutionizing the mechanical keyboard market, giving users full control without needing the technical experience required by the gurus. 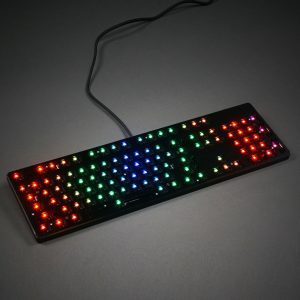 This will be the last keyboard you will ever buy.